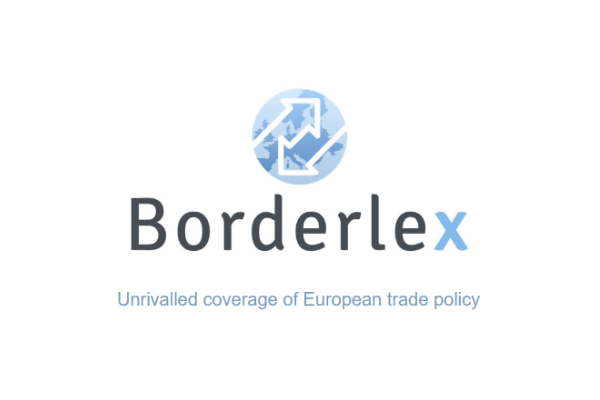 Brexiteers with no plan of how to deliver on their exit plans deserve a “special place in hell”, EU Council President Donald Tusk said on Wednesday (6 February), sparking a new war of words with UK politicians bent on leaving the bloc this March. 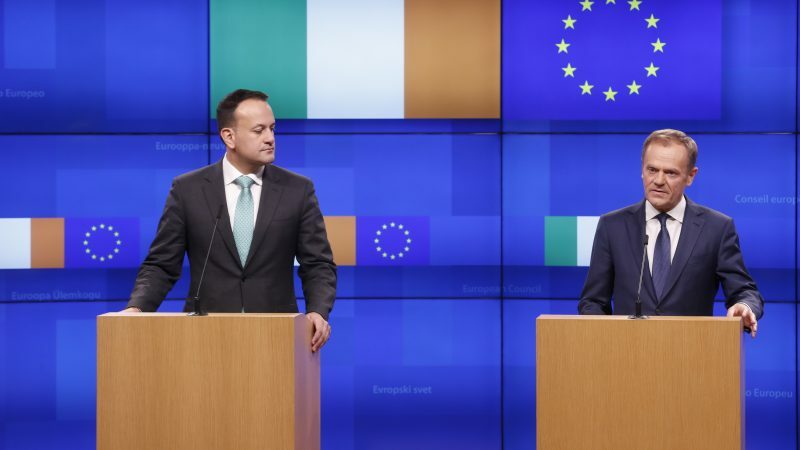 “I’ve been wondering what that special place in hell looks like, for those who promoted Brexit, without even a sketch of a plan how to carry it out safely,” Tusk told reporters in Brussels after a meeting with Irish Prime Minister Leo Varadkar. In his comments, Tusk reaffirmed the position of the EU-27 that the Withdrawal Agreement was “not open for renegotiation”. Tusk said he had concluded that there was now “no political force and no effective leadership” for those wanting to remain in the EU as according to him, both Conservative Prime Minister Theresa May and Labour opposition leader Jeremy Corbyn had a “pro-Brexit stance”. “We will not gamble with peace or put a sell-by date on reconciliation. This is why we insist on the backstop,” he told reporters. “I know,” Tusk laughed in reply. The comments have, unsurprisingly, infuriated Brexiteers, although they also drew welcoming remarks from the Scottish National Party. “The man has no manners, I think it’s extremely regrettable, not at all helpful,” retorted Andrea Leadsom, a senior minister in Theresa May’s cabinet, and one of the Vote Leave campaigners to whom Tusk may have been referring to. Meanwhile, Sammy Wilson, Brexit spokesman for the Democratic Unionist Party, described Tusk as “a devilish Euro maniac…fanning the flames of fear”. May will travel to Brussels on Thursday for talks with EU leaders following a two-day visit to Northern Ireland. 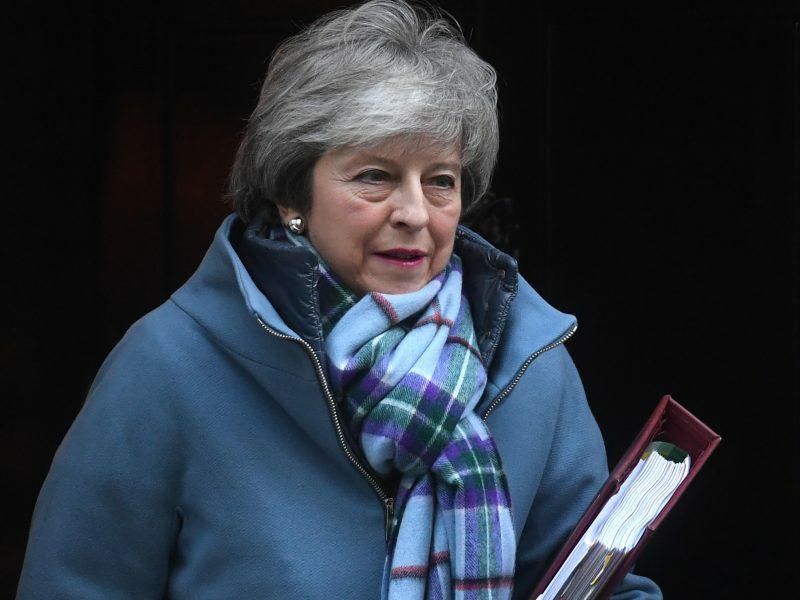 The UK prime minister is under huge pressure from her Conservative party to obtain legally binding changes to the backstop, following a vote in the House of Commons last week. The Irish backstop appears to be the last major sticking-point for the draft Withdrawal Agreement to obtain majority support in the UK Parliament. “The backstop is the main problem,” said Arlene Foster, leader of the Democratic Unionist Party. But with just 51 days until the UK is due to formally leave the bloc (on 29 March), Emily Thornberry, Labour’s foreign affairs spokesperson, urged the government on Wednesday to seek a temporary extension of the Article 50 process. The reaction of gormless cows like Andrea Leadsom tells you all you need to know about how the truth of Tusk’s remark has stuck home: Brexshiters, no plan, no brains, just unicorns and up-lit sunlands. If it were possible to sponsor an imp in hell to stick a pitchfork into Leadsom when she arrives in that sunless place (yesterday would not be soon enoug)h , I would do so. What an ignorant man, very unprofessional, childlike in simplicity, resorting to name calling and unhelpful comments. Who did have a grasp of what coming out of the EU actually involved, what the consequences really would be? And why is it that leaving the EU sows such discord and upset? This is very similar to the mindless, unreasoning and protracted hatred the US has fostered towards Cuba. Namecalling solves no problems. And I suspect Tusk thought this was an amusing and media attracting statement. Well, that tells you all you need to know about Tusk and his like. Perhaps Mr Tusk is simply right – why do non of the Brexshitters have a serious plan on how to resolve the impasse they themselves created? Besides: shall we consider the kind of name-calling for Mr Juncker, as practices by the whole Brexshit-gang including Boris, Jacob, the Daily Mail, etc. etc.? oh. and how did Tusk get his position in the EU? Elected by a supportive and favourable majority of caring and understanding members of the population? Er, nope. Mr Tusk was elected by the politicians holding the supreme offices in all the Member States. Sounds like a pretty good mandate to me, also in light of his actual function (are you even aware what his powers are)? And do tell me: was Ms. May elected by “a supportive and favourable majority of caring and understanding members of the population”?